This is the first picture of Petit Tobac. 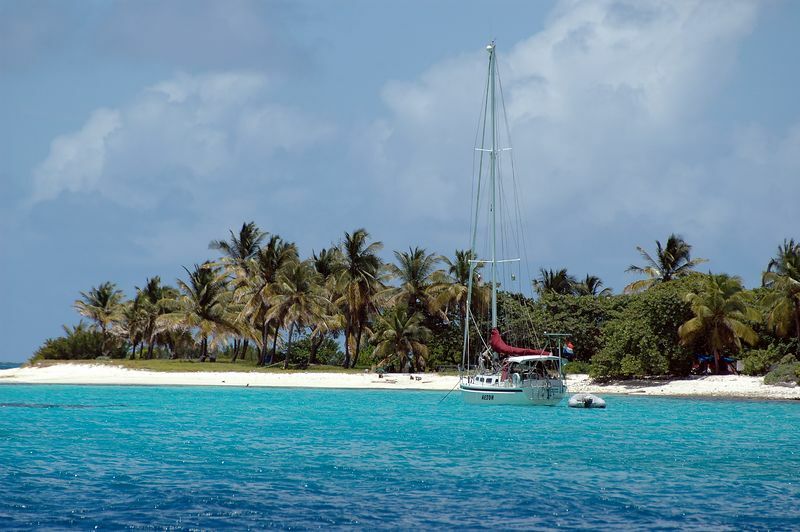 Petit Tobac is the fifth island in the Tobago Cays, and the only island on the outside of Horseshoe Reef. After one night next to Barbadal, Jeremy moved the Fortitude to the northern side of Petit Tobac for the night of July 22nd. As you can see in this picture, there were a lot fewer boats near Petit Tobac. Exactly one boat was there when we arrived, and they left soon after. However, a second boat eventually replaced them by evening.